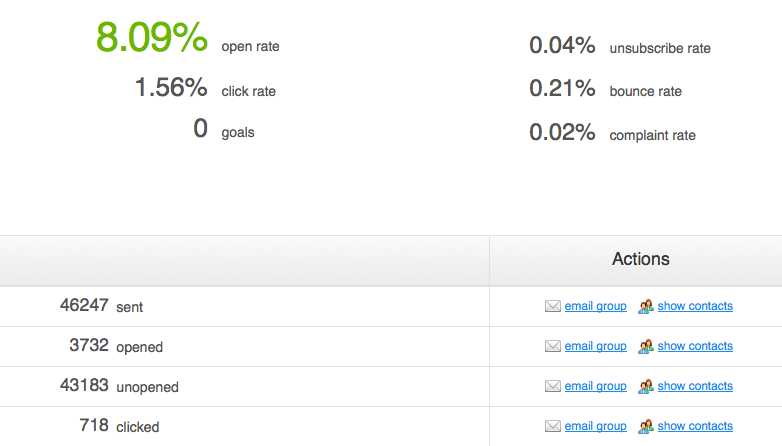 In Statistics>>Email analytics choose the message type on the left, campaign name, and message subject you want to target. Scroll down the page, and under Actions choose the Email group option beside the “unopened” row. Immediately, you will be taken to the message editor in which you can create the message and schedule it for delivery. If you want to send a message you have used previously, first save it as a template and select it from the My templates section.